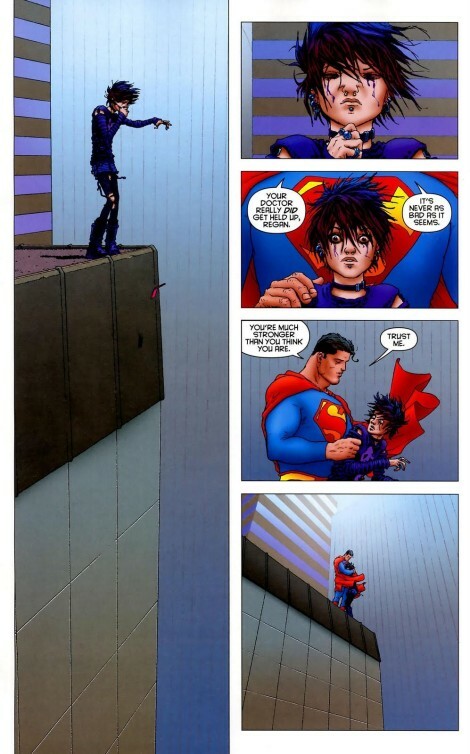 I’m writing this during National Suicide Prevention Week, and it seemed like there was no better piece of art to discuss than what is likely Frank Quitely, Jamie Grant, and Grant Morrison’s most famous page from All Star Superman. This is comic storytelling at its finest, and although Morrison penned words for this page, it would likely stand on its own without any text at all. Give it a read, then join me at the bottom for a bit of a conversation. This page has been analyzed many times since it first appeared in All Star Superman #10, and at least part of what makes it worth analyzing is its layout: a single page-length panel with four more panels adjacent to it. It’s striking, and not typically something you see on a comics page. In the first panel, Regan is dropping their* phone after finishing a conversation with a therapist, and while there are many different ways Quitely could have drawn the scene, this elongated panel featuring two skyscrapers and no view of the ground drips with a level of despair that I don’t think could have been accomplished another way. The reader’s eyes naturally follow the panel downward thanks to the open hand, the dropped phone, and the vertical lines of the building in the background. Our eyes follow the panel down, down, and they never reach the ground. In fact, the art actually bleeds off of the page. In the second panel, we get just a close-up of Regan’s face carrying the remnants of tears, resigned to the decision to jump. If there were any doubt in the reader’s mind as to why Regan was on the ledge, this should seal it. The next two panels are the only ones with dialog, but I’m going to let you in on a secret: those words don’t really matter. I cannot tell you how many times I have been in the darkest pits of depression and had someone close to me tell me that it’s going to get better, that things are hard now, but that I am stronger than I think I am, that I have survived through worse times. All of those things are true things, I know them to be true things, but it doesn’t matter. I’ve gotten to be so tired of being strong, and I’m willing to bet that Regan has heard that all before as well. I can’t speak for everyone—maybe a reminder of something already known is enough to save someone that’s about to jump—but I don’t think that’s what saves Regan. 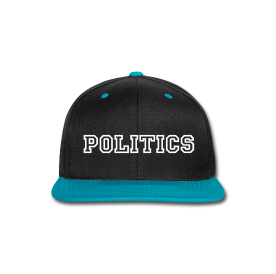 But if the words don’t matter, why doesn’t Regan jump? It’s because Superman is there as a literal reminder that Regan is not alone, that somebody cares. Up until this moment, Regan had been speaking with a therapist—a person who is paid to listen —and was being told that he wouldn’t be there on time for the appointment. When Regan desperately needed someone, there was no one. Until Superman shows up. A complete stranger shows Regan kindness during what are likely their darkest moments, when they have likely never felt more alone or hopeless. Regan has been saved by Superman, but not in the traditional manner. 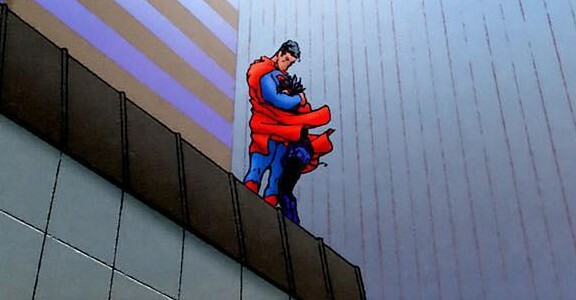 Superman didn’t catch Regan’s body as it plummeted toward the ground; Regan was saved by Superman simply standing there on the ledge. There was a similar scene in Roberto Aguirre-Sacasa’s Marvel Knights: 4 with Reed Richards talking with a jumper, talking not as Mr. Fantastic or as an incredibly brilliant scientist and adventurer but as just another human being. A stranger who cares. It’s that kind of outreach that can be vital to saving lives. And you don’t need to be a superhero to do it, either. I haven’t spoken about the last panel yet, and it’s the most important one on the page. Not because Regan has turned away from the ledge and is being embraced by Superman, though that’s certainly worth noticing. The last panel is important because Quitely pans out again and reminds us that Regan is still up there on that ledge, they are just turned away from it for now. For now. Superman helped Regan win one battle in what will likely be a lifelong war. What he did was important, but anyone who has been affected by suicide in one way or another can tell you that every week is suicide prevention week. And Superman’s not always going to be there for us, so we have to be there for each other. If you have someone who has suffered from depression or suicidal thoughts, reach out to them and ask them how you can help. If you are feeling alone, depressed, or suicidal, here is a listing of resources based on where you live—including anonymous chatting with another person online—please seek help. *Opting for they/their, as Quitely draws Regan rather androgynously.